Artificial Intelligence has become a catch-all phrase for a variety of advances in computing – both those in wide use today and those on the drawing board and those. Once fully realized, these advances will enable machines to “think” autonomously and solve complex, real-world problems quickly. Cognitive computing is the field at the forefront of these advances that attempts to simulate human thought processes in computer models by combining the study of the human brain and how it functions with computer science. 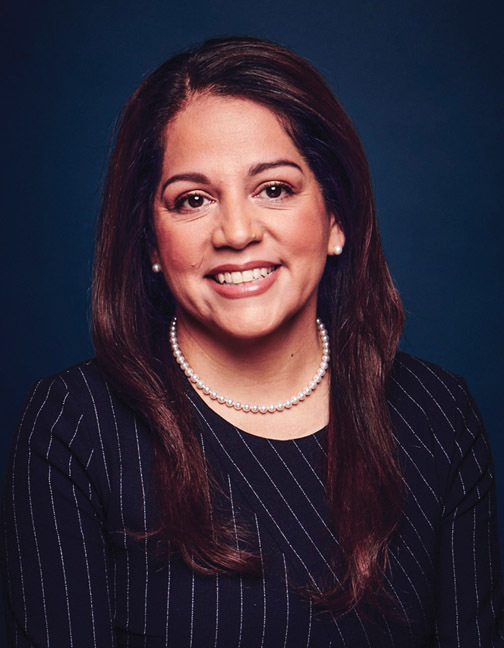 As the Chief Technology Officer for IBM Services, Cognitive Process Services in North America, Teresa Hamid is in the vanguard of this computing power revolution. Currently Ms. Hamid is responsible for leading the reinvention of business process outsourcing, a task largely dependent on providing technical solutions that are adaptive, services based, and driven by data and augmented intelligence. Her mandate is to deliver measurable impact to business in areas of cost, time, resources and insights. Ms. Hamid also leads teams from both business domains and technical teams to design and build cloud platform-based solutions. Her global experience in designing large scale Smarter City technology and governance solutions for self-sustainable cities, pediatric medical cities, and smarter transportation for large cities has helped lead to her designation as thought leader driving IBM’s initiatives focusing on the emerging Internet of Things (IOT). Growing up in a single parent household with four siblings, Ms. Hamid was inspired by her Mexican-born mother’s struggles to provide for her family in a new country. She learned sacrifice, dedication, honesty and strong work ethic from the challenges her mother faced and gained a determination to succeed. By the age of 14, she was working as a waitress to help support the family. A high school guidance counselor urged her to join a program that taught computer skills for journalism, and she soon advanced from desktop publishing to learning programming. Ms. Hamid was only 16 when she was selected for a summer position as a COBOL programmer at Lincoln National Life Insurance Company, a role that turned into a work-study program, and then a full-time job once she graduated high school. Attending college in the evenings while working, she soon found out that what she learned at work through experience was far more advanced than what she was studying in her classes. After 5 years at Lincoln National, she attended an IBM job fair and was hired immediately. Rising steadily in the company during the last 21 years, Ms. Hamid has worked in divisions including Global Business Services, Corporate Technology, and the Software Group. IBM valued her work enough to send her on a prestigious international assignment as Chief Architect for the IBM Software Lab in Cairo, Egypt and make her one of only 100 IBM Fellows, the company’s pre- eminent technical distinction granted in recognition of outstanding and sustained technical achievements and leadership in engineering, programming, services, science, design and technology. An active mentor, she coaches IT professionals in career development and client engagement, and in 2013 was awarded the Star of Today award by Society of Hispanic Professional Engineers. Despite her lack of an undergraduate degree, Ms. Hamid holds three published patents in the areas of SOA and Application Development. It’s a tremendous level of professional accomplishment that she balances with her role as the mother of three children.